1. First we need to make the basis of the postcard. For this we take a dense sheet of A4 paper and bend it in half. 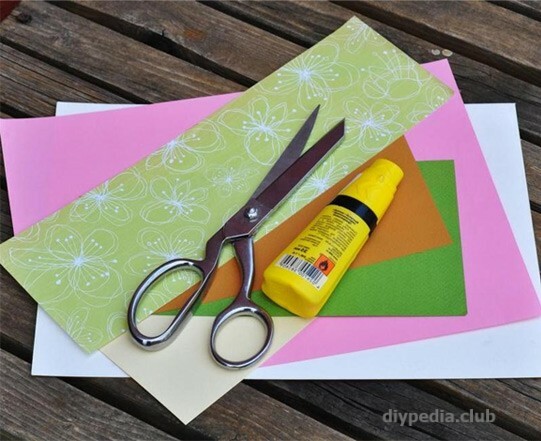 Round off the corners with scissors (not necessarily). 3. 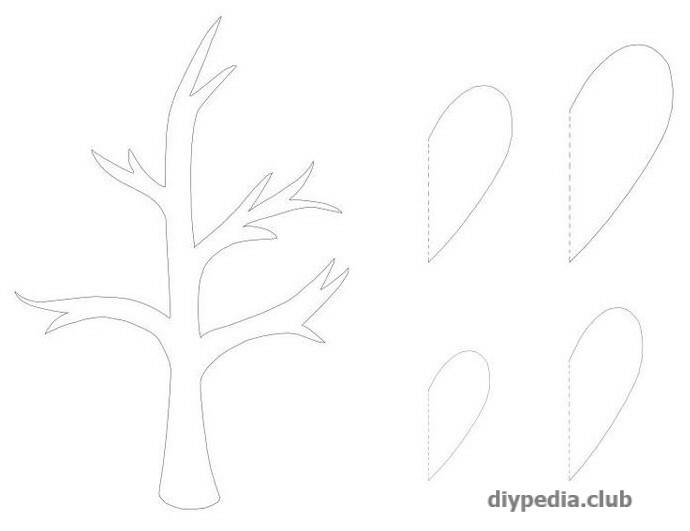 Cut the template of the tree crown, transfer it to the color paper and cut. 4. 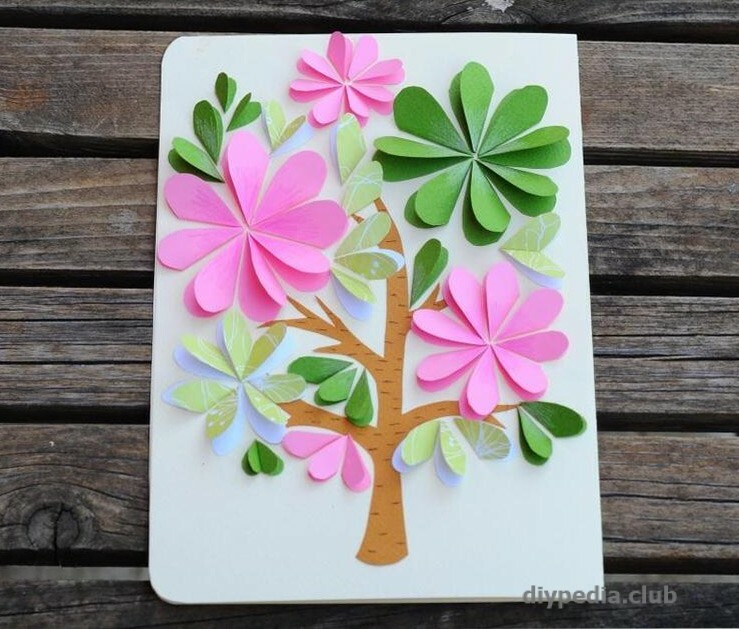 Now we need to cut a lot of petals. 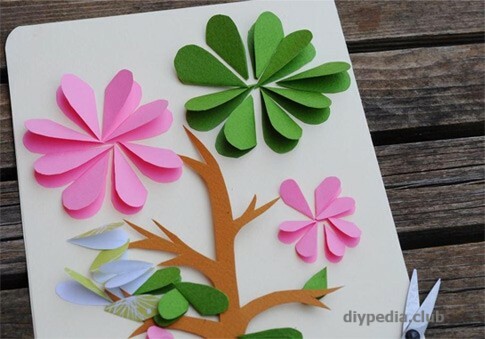 To do this, take a sheet of colored paper, bend it in half and apply to the bend cut the template of the petal so that the bending lines of the template (in the figure marked with a dotted line) and colored paper match. 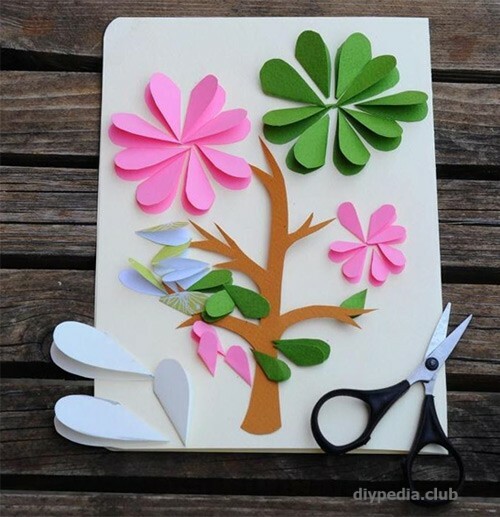 In this way, cut out a lot of different petals. 6. 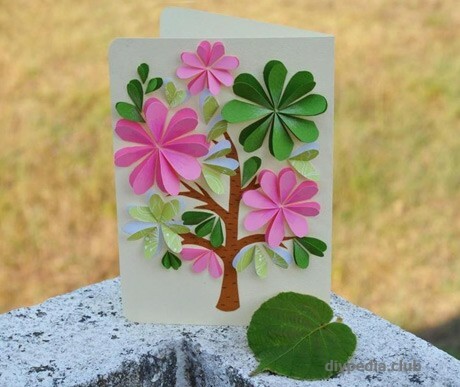 At first glue to the basis of a postcard a trunk of the future tree, and then petals (to apply glue it is necessary only the bottom part of a petal). 7. Draw by pencil lines on the trunk, simulating the bark.